*Fill this form and send back to info@eettonline.com or walk into our office to submit your CAMBRIDGE A LEVEL form. Info: You are required to pay a sum of ₦20,000 (NGN) for Cambridge A-Levels entrance exam. Please scroll to the bottom of this page for more information and account details. The Cambridge Advanced Level or Cambridge A Levels programme is pre-university programme conducted by the prestigious University of Cambridge International Examinations, United Kingdom. The Cambridge A Level programme is the gateway to the most prestigious universities worldwide. Our curriculum and track records in academic excellence has resulted in the successful placement of our students into top universities of their choice. A Cambridge International A or AS Level is recognised around the world by schools, universities and employers. The qualifications are accepted as proof of academic ability for entry to universities worldwide. Cambridge International A Levels typically take two years to complete and offer a flexible course of study that gives students the freedom to select subjects that are right for them. Cambridge International AS Levels often represent the first half of an A Level course. 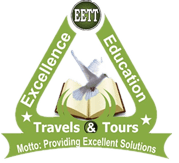 Excellence Education Travels and Tours (EETT) offers a wide range of Cambridge A Level training skills. 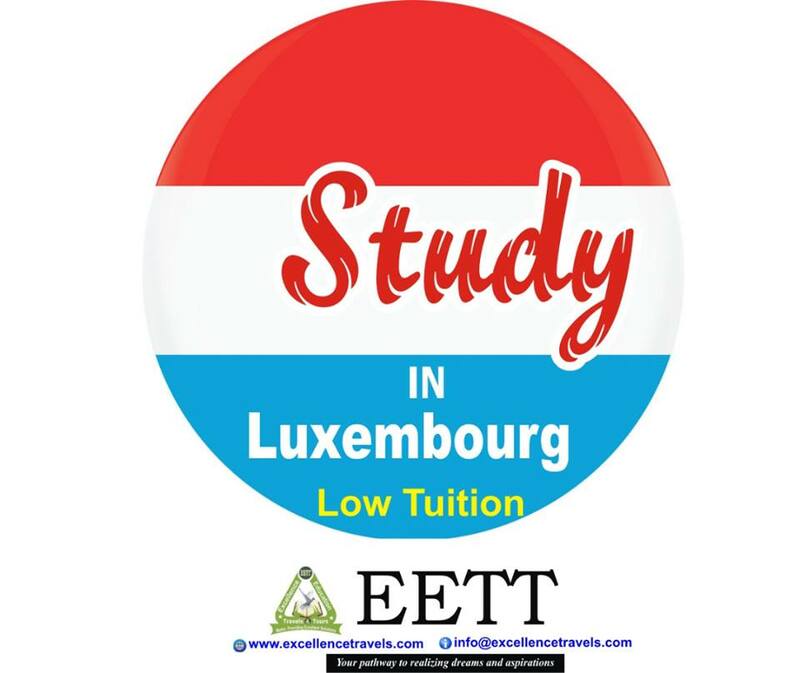 EETT is an educational institution poised to offer the best and qualitative education to help students realise their dreams of being admitted to a higher institution of learning. Excellence Education Travels and Tours “Cambridge A-Level Classes”. The EETT Cambridge A- Levels programme helps students to identify and discover the different learning skills to succeed academically and beyond. These critical skills are known as Is CoRe which is a combination of differentiated learning approaches for students to excel in their studies and achieve their university and career goals. Shape students into responsible and confident individuals; active at acquiring knowledge and ideas to achieve their goals. Encourages students to master peer-to-peer interaction and leverage on individual strengths to acquire sound knowledge. Equips students with technique to acquire higher order thinking skills and broaden their academic perspective. The General Certificate of education (GCE) provides the basic qualification for entrance to higher and professional studies in the United Kingdom. The examinations are conducted at two main levels: Ordinary (O), and Advanced (A) levels. The O-level, available to overseas students only and is generally taken after ten years of study. Candidates may enter the examination at any age provided that they can meet the requirements of syllabuses. While it is not compulsory to do O-levels for a candidate with secondary qualification, it is important to keep in mind that some universities ask for a specific number of O-levels subjects. Normally O-levels in five subjects qualifies one to go for A-level. The A-level examinations normally taken two years after the O-levels, pave the way for entrance into undergraduate studies in universities and colleges. To apply for entrance to an undergraduate degree, a minimum of three A-level subject is required. However, it is important to keep in mind that individual entrance requirements of universities or vocational institutions may vary. After successfully passing the IGCSE exams, studying for AS and A-Levels at EETT is a great way to bridge the gap between supervised secondary school education and the independent learning environment of university and college life. We give students the opportunity to work at an advanced academic level, but with a great deal of individual support and guidance. A Level Subjects: Accounting, Business Studies, English, Law, Computer Science, Economics, Mathematics, Physics, Biology, French as a Second Language, History, Global Perspectives etc. A-Level is a two year programme. At EETT, our A-Level programme is for one/two years for all students. Students typically choose their best 3 subjects for their final year’s A-Level examination programme. Cambridge International A-Level certificates are used to award places by leading universities in over 60 countries within the EU, North America, Far East and the Commonwealth. Typical university destinations are UK, Ireland, USA, Canada, Australia, New Zealand, India, Singapore, Egypt, Jordan, South Africa, France, Belgium, Netherlands, Germany, Italy and Spain. In USA and Canada, good grades in carefully chosen Cambridge International A-Level subjects can result in up to one year of university course credit. Over 460 US universities accept Cambridge International AS and A-Levels. Our A-level students work in small tutorial groups (maximum 10 students) where they benefit from close personal tutoring. The Class Tutor is the main point of contact for students and parents. Students also receive weekly tutorials on study skills, as well as career planning, and university applications. They enjoy greater independence, and are allowed to share ideas among colleagues. Students collaborate by constructing Google Slides presentations for History or by sharing a Google Docs presentations for English. They enjoy the challenge of solving problems using Links for Mathematics, or the interactive whiteboards in Biology. Physics and Biology students complete practical experiments in our modern Science Lab. What are AS and A Levels? AS and A Levels are advanced qualifications that are also academically rigorous, internationally accredited public examinations, taken after completing IGCSEs. AS and A Levels are the usual assessment criteria to gain entry into UK universities, and can be transferred into completed credits at many US universities. 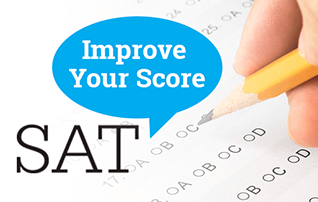 If a combination of AS and A levels are taken from different disciplines, and good grades are attained, an AICE Diploma is issued by registered schools in the USA. If AS and A Levels are taken purely for the sake of learning, you do not need to find a Registered Examination Centre. However, if you are serious about showing what you know and can achieve at AS and A Level, make sure to study and complete selected subjects that match your interests and can also gain access to college or university. To do this, you will first have to find a suitable centre that accepts private candidates. A private candidate (aka external candidate) is seen by the examination boards as someone who is not enrolled in the Registered Examination Centre where he or she will take the final examination papers. A private candidate can be a home schooler/home educator; someone doing a correspondence/distance learning course; someone studying evening courses; or a part-time student (just to name a few). Private candidates take on full responsibility for completing their studies, finding and corresponding with a Centre that accepts private candidates, and turning up for examinations on time. Subjects that offer an exam-based form of assessment (rather than a combination of coursework and exams) are more suitable for private candidates. Some Registered Examination Centres will allow private candidates to take foreign languages, but it is important to check with the particular centre, especially as there is usually a practical examination to complete. In fact, it is worth noting that not all examination subjects can be offered to private candidates, so it is important to check each subject syllabus that an individual intends to access. One last important point to reiterate – a private candidate takes on full responsibility for accessing the selected subject materials, syllabus, and resources, past papers, and finding a Registered Examination Centre. Which AS and A Levels are available to private candidates? As with IGCSEs, AS and A Levels are available in a wide variety of subjects for private candidates. A good examination board choice for private candidates is Cambridge International Examinations (CIE) – there is a wide choice of accredited examinations; support material such as syllabuses, past papers and marking schemes are readily available; most subjects are 100% examination-based (the private candidate only needs to be accepted at a registered examination centre to sit final exams and gain accreditation). The other examination boards that offer AS and A Levels suitable for private candidates are AQA, Pearson/Edexcel, OCR and WJEC – however, there are limitations for private candidates who choose subjects from these examination boards. In addition, all examination boards can and do change their specifications or syllabuses from year to year –SO CHECK each subject’s syllabus or specification before embarking on study AND find a Registered Examination Centre at the same time so that you know private candidates can be accepted for examinations. It would be extremely frustrating and disheartening to work for up to two years on AS and A Levels, only to find that the syllabus has changed or that private candidates are not accepted at your chosen examination centre. There are five passing grades (A – E). Minimum requirements for Nigeria are at least three pass grades. But typical international university entrance requirements are closer to three passes at grade C for academic courses in established universities. Very popular courses will often require higher grades. For example, medical schools in the UK often require grades of AAB and the highly selective universities of Cambridge and Oxford ask for at least AAB. Good A- Level grades can also be a key to admission for all the world’s major Anglophone universities. University course credit and advanced standing is often available in countries such as the USA and Canada, where entrance to university takes place after 12 years of education. Good grades in carefully chosen A- Level subjects can result in up to one full year of credit. Places at our Sixth Form College are in high demand and we encourage you to apply in January, May or October. It’s unlikely you’ll be offered an interview if your application is received later than 23rd December. We will consider applications received after this date but only if there are places available for the subjects you have applied for. Please check that you have our correct account details. Anything different from what you see on this page is not ours and we will not be liable for lost funds. *Fill this form and send back to info@excellencetravels.com or walk into our office to submit.